Why after almost 40 years; do we have to explain what Mind mapping is to almost every colleague, client and potential we meet? Most (not all admittedly) who look over my shoulder while I am graphically mapping out information, invariably ask, “What is that”. It does become rather tedious after a while; doesn’t it? But, as a consultant and trainer, I persevere with this question numerous times, and I go through the same old same old process of taking some through a discovery, which undoubtedly changes their perception of how they may create, manage and exchange knowledge. But it’s true; after almost 40 years we still have to actually explain away Mind mapping. And, the truth of the matter is; we’ve moved way beyond Mind mapping since its inception and have been exposed to the tools, methods and Mindset of multiple format Visual mapping. For some; an evolution towards Knowledge mapping has been the result of exposure to many Visual mapping approaches. “Visual mapping includes but is not limited to Mind, concept, flow and argument mapping” And of course; there are many other tools that enhance our graphical expressiveness. A generational shift is taking place regarding current perceptions of how data, information and knowledge processes are handled in associated with, the nature and implications of systematic and systems thinking. Mind mapping can, has and does assist with this generational shift. As much as we haven’t experienced a wholesale adoption of Mind mapping at even the base level outwith the enthusiasts within focus groups, I firmly believe we may have missed the point of the range of Mind and Visual mapping products. I'm absolutely sure it was never the intention of Mr. Buzan to enable people to perpetually visit a graphical framework, making it look even more colorful and pleasing to the eye. “Information Management” is the core of the tools, methods and Mindset of Information and Knowledge mapping. If we accept that Data (which is made up of numbers, words and images) when aggregated becomes information (when contextualized), eventually becomes relevant Knowledge; we are somewhat on the way to realizing the true nature of process and system. So as we move forwards, I encourage you to consider expressing your thoughts, feelings and desired actions for taking the full range of Visual mapping tools, methods and mindset to the mainstream. Please consider joining us at a growing LinkedIn group named Visualmapper; here you’ll find many professional Visual mappers from varied backgrounds, ranging from consultants, to Academics through corporate business and software development. Your opinions matter, so please jump in a make your voice heard. As much as I refrain from making any predictions for this arena, I firmly believe we’ll see a few products make their mark and many simply fail. Apart from the cloud seducing more users into giving up their IP to remote servers, I firmly believe the following tools shall become more notable and used by the forward thinking information manager. 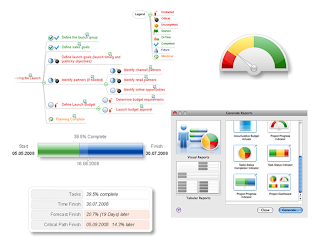 The collage viewed below was used in a previous post to indicate software choices for the information manager. It shows a viable range of tools that delivers the needs and wants for the information manager now and in the future for sure. There's actually a few within the collage that are questionable as to their future viability and success within the software development arena for mind/visual mapping. In particular keep your discerning eyes on Mindsystems, Mind mapper, ConceptDraw, NovaMind and the deserved leader of the pack Mindjet MindManager. The cloud is developing exponentially and I certainly see applications such as Comapping, Mindmeister and Webspiration delivering more mobile functionality for those of us who’ve had enough of being chained to desktop reliance. During July 2009 I conducted an interview with MindGenius; recent events however opened a “part 2” interview opportunity with Dustin Newport. The following is an extension to the original interview. 1. Tell us about yourself Dustin; what is your position and responsibilities within the MindGenius organization? I am Commercial Sales Director at MindGenius. My responsibilities include building relationships with all of our clients through direct touch and channels. In doing so we harvest sales opportunities by responding to our customer needs. These can range from simple product demos right through to specific feature requests that we feed into future release cycles. Our sales ethos is built around dialogue and understanding and building what customers want! This is core to our strategy. 2. You are well known within the UK Business management arena; what skill set have you brought to MindGenius? My specific experiences within this industry are the main values I have brought to MindGenius. I have operated within the visual mapping community for 5 years now (which you could argue makes me a veteran in this space). Specifically, I have overseen and directly managed some of the largest enterprise installations of this technology within leading Blue-chip organisations. I have sat alongside executives within prospects and built specific maps addressing core business needs such as Client Dashboards, Bid Management Templates, or Six Sigma work breakdown structures. By doing so, I like to think I bring substantial and real-world exposure to the value that mapping delivers to the coalface in business. This understanding is critical in shaping the behaviour and strategy behind our commercial activities. Also, through these same experiences I have engaged at CxO level in the enterprise and built a direct understanding of what key business issues they are trying to address and how delivering a visual mapping solution can help address some of these. Mapping delivers both individual and macro level benefits across the organisation. 3. What attracted you to the product? The thing that attracted me to MindGenius was the tremendous customer loyalty and successful adoption of the product in the market place with very little historic commercial activity behind it. I soon realised that with some customer relationships and sales focus we could take the market by storm. It wasn’t until I started looking at the product in more detail though and speaking to some MindGenius customers that I really got what made this company so different. MindGenius is humble, and it listens. Its product is not a technology showpiece, but an absolute reflection of key business needs. The fact that MindGenius was developed within a client (Gael Quality), is evident throughout the application. It is a no-nonsense, ‘get it done’ product. 4. MindGenius 3 has recently been released to market; what makes it stand out amongst the many visual mapping products available to date? As already touched on, the DNA of this product is customer driven functionality and ease of use. There seems to be a ‘gold rush’ on to try and be all things to all men among mapping vendors. To try and cover as many platforms as possible and to have the biggest feature list. We’re simply not playing that game! We are focussed on delivering an easy to understand highly focussed offering, which does the job and does it well. To answer your questions specifically, customers are warmly welcoming the update in our look and feel as well as getting very excited by new functions such as ‘export to Excel’ and building customer question sets to drive brainstorming. 5. 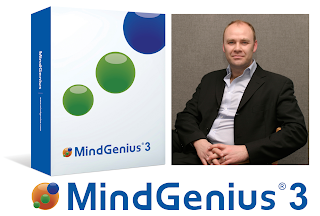 There’s a lot of competition in this field; why should we purchase MindGenius 3? I will point to pieces of evidence that I think help provide the answer. We have gone to both existing MG customers who simply love the updates, whilst retaining our core ‘feel’. We have gone to customers who are brand new to mapping and are performing competitive evaluations. In nearly all cases we are winning based on ‘ease of use’, ‘simplicity’ and ‘good value’. Finally, we are also approaching competitive sites/users via our partners. Despite the challenges of incumbency we are delighted with a real desire to consider alternatives and that MindGenius is scoring very favourably. I will simply draw your attention to a number of blogs and related comments where such comparisons are being made to help substantiate my claim here. 6. 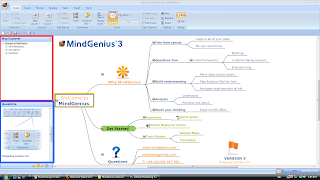 Would you classify MindGenius 3 as a Mind mapping or Visual mapping product? Not sure I want to get drawn into this debate on definitions. Personally, I position it as ‘Information Mapping’ when talking with customers but one could easily argue we are also based on a ‘mind mapping’ platform. Are we a thoroughbred ‘mind mapping’ application? Probably not! Do customers really care? I’m not sure they do. 7. 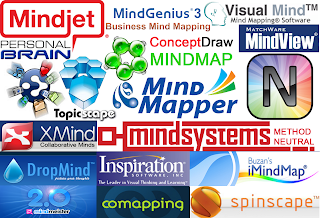 How do you view the current positioning of MindGenius within the Visual mapping arena? I would like the community to view us as I’ve described above. We refer to ‘applied innovation’. 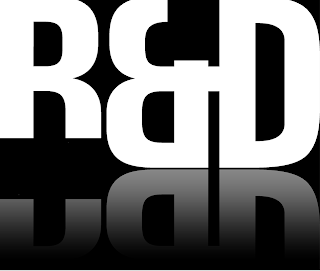 We mean that the innovation is driven through customer demand, rather than for the sake of innovation. I think we would be positioned as an easy to use product that delivers tremendous business driven functionality. We are mature and proven and used across 500,000 desktops. Our customers are proving to be very loyal. These values and observations should position us as the mature and robust offering that meets with the needs of users. These are the user driven arguments at least. However there is a much bigger CIO argument playing out here. Other vendors are pursuing the notion of trying to build collaboration and document management into their mapping offerings. In doing so, we are hearing that CIO’s are getting confused on how such offerings can sit alongside their existing web sharing (ie WebEx, LiveMeeting) or Sharepoint investments (all of which are proven enterprise platforms). MindGenius is clear cut. We are a pureplay desktop mapping proposition. Our product delivers value to an existing collaboration strategy and underpins the investment in web sharing technology. Where WebEx/Livemeeting etc provide the plumbing and ‘utility’ of sharing desktops, MindGenius delivers the contextual layer. This means remote meetings come to life through information capture, assigning actions, priorities and outputs. None of this requires an investment in infrastructure or signing up to additional SaaS services. 8. Do you benchmark other products; why or why not? No, we don’t. We think it’s unhealthy to focus attention on looking at competitive offerings and forming strategy and development accordingly. For sure, we can’t ignore competition but our key drivers are our customers. 9. Name two functions of MindGenius you believe are unique to the product? I actually don’t know all the products out there now, so I’ll tell you what customers tell me are 2 favourite features. 1) Simultaneous map pane and ‘explorer’ with drill down. No more ‘panning’ and ‘zooming’ to navigate large, complex maps. Simply, customers love it! 2) Customised question sets to enable complete guidance and parameter setting around brainstorming. 10. In what arenas’ is MindGenius successfully being used? 11. What’s the feedback from your user base; please provide a couple of testimonies? "MindGenius has always given me the ability to capture my ideas or customer requirements, organise, understand and prioritize them quickly. After this, I can go on and share the map with colleagues or customers, or undertake the resulting actions. MindGenius 3 makes this process even more streamlined and effective. My job is extremely demanding and MindGenius 3 makes it so easy to handle my ideas and plans that I genuinely don't know what I would do without it." Giles Massingham, District Manager, Bang & Olufsen. 12. Do you have, or are preparing an API for SDK development; and is this an important issue? 13. Visual mapping seems to be evolving into the inclusion of Database capabilities: would you view this as being significant for the future of MindGenius? 14. Is MindGenius cloud computing services on your radar? Yes all of these things are of course on our radar/in the pipeline. The issue is one of which ones to prioritise. This is answered by customer demand. We are not doing these things to simply ‘tick the box’. 15. 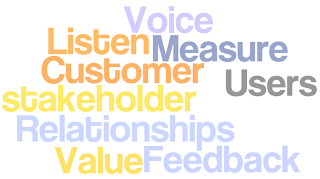 Do you listen to the Voice of the Customer, and how do you do this? This is our core strength. EVERY SINGLE customer who either downloads a trial or purchases our software receives an email and a call either from MindGenius or our local channel partner. Every single piece of customer product request is logged and fed into our Product Management database in order to assess whether or not it should form part of a future release. This attention to customer detail and not simply relying on a ‘cool’ product and website is what sets us apart from competition. 16. 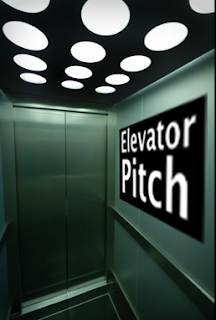 What’s your MindGenius elevator pitch? Well, if it’s a CIO – that’s an easy one. “What’s your collaboration strategy?”, “OK, great – so people can share desktops and documents – how are they capturing minutes, assigning actions, sharing the notes with colleagues?” – the pained expression as they explain hand written note taking and distributed hastily penned minutes after the meeting normally give enough away. “OK, so try running your next web meeting using a visual mapping tool. We’ll give you; visually engaging context, a canvass for capturing discussion, ability to capture tasks and assign resources and ability to instantly distribute in native form or any other application of choice; Word, Power point, Project etc”. So far, this approach is not failing! However, if they’re not a CIO – it’s a little tougher as it’s a role based/user proposition. It’s stuff though like establish their role, make a bold claim such as ‘I can change the way you work for the better’ and, if you caught them at the right time get them to agree to look at your website or attend a quick online demo. MindGenius is like a beautiful painting. It has to be seen. To describe it will simply not do it justice. 17. How much does MindGenius 3 cost, and where can we purchase it? How many would you like? We charge a perpetual license model based on ‘per person’. The cost is £147/$235. However, for enterprise we consider scaled discounting based on commitment and also introduce subscription pricing at this level for anything over 250 seats. Finally, where there’s an incumbent competitive offering, we are providing some very competitively priced enterprise licensing alternatives. An interesting extension to the original interview for sure: and while there has been a few capability and functional changes from the previous version of MindGenius. The developers are, I believe, simply stating they are still in the Visual mapping development field. It’s very clear the developers of MindGenius are customer focused, and disregard (not entirely) the competition in favour of the voice of the customer. This is indeed very rare in these days of unit sales importance over unit function capabilities for the user. The importance of embedding and Database capabilities for future builds would IMO be a serious consideration. In terms of evolving this product past the constraints of mere Mind mapping; this would certainly place MindGenius firmly within the leading pack of Visual mapping products. While at this time MindGenius does not have an API available for SDK development, they may consider this for the future integration with third party developers. Regarding cloud computing; yes, there does seem to be a global movement towards this approach by the mainstream developers. Indeed if this becomes a customer demand, I do believe we’ll see MindGenius in the cloud at some point; that is if the cloud proves to be successful, and not another potential dot com crash. Keep an eye on this very functional business mapping product. I’m sure there are further improvements planned that will widen the appeal of MindGenius, especially within North America. I seem to be pleasantly and very willingly diverted into conducting interviews of late. It’s a very enjoyable experience, as it places the interviewer and interviewee in a very intellectually intimate position of acceptance and trust. John England the founder of Mindsystems is the consummate professional. I have known John for a relatively short span of time, and in this period he has indeed enabled me to glean much from his illustrious past relating to his careers. John has worn a few hats, and has performed his tasks with great success to the nth degree of professionalism. His initial business success has enabled both him and his team to create a strong Mindsystems presence within the business management arena. Mindsystems have developed a new concept called “Method Neutral”. Once you get your head around this, you’ll receive an “aha” moment for sure; I know I did; so read on and receive yours. ... Tell us about your involvement and work at Mindsystems? I am the executive director and founder of Mindsystems which means that I've relinquished much of the day to day running of the company to other managers far more competent than I. Seriously though; this means that I can spend my time in more innovative and entrepreneurial ways than I was able to in the past. 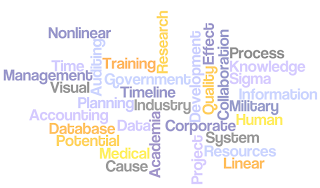 My major focus these days falls into three distinct yet overlapping areas: making new industry contacts, focusing on developing Amode .and constantly researching new trends in information handling. ... Give us a brief history of the organization? I spent 16 years in the Royal Navy and in the late 70s was posted to the Australian Navy as an exchange officer and training assessment expert in their Educational Research Unit at HMAS CERBERUS ... that is how I discovered one of the world's best kept secrets: Australia. In 1983 I left the Navy with the intention of returning to Australia. Initially I had a couple of jobs as the National Training Manager of multinational companies, but at the same time started a part-time business importing computer-based training into Australia. After a couple of years, a major Australian university started using our company name and as I decided discretion was the better part of valour, we came to a financial arrangement to relinquish the name. At that point "Teamlink Australia" came into existence and soon gained an Australia wide reputation for excellence in corporate training and consulting in areas such as management, leadership, communication plus team development and selection. While in the Royal Navy I did a full-time Master's degree at Sussex University and there met a young lecturer by the name of Tony Buzan, later to become world-famous as the father of mind mapping. So it is perhaps understandable, that I have always been extremely interested in visual techniques in general and mind mapping in particular. However paper mapping caused me considerable frustration as my mind tended to function far more quickly than I could draw. I was therefore delighted when I spotted a piece of software on the Internet called "MindMan" written by a young German engineer, Mike Jetter. This was the first translation into English and the help files were extremely entertaining, but not in the way intended by the authors! I was so happy to see the arrival of this innovative software that I offered to put the help files into more formal English. That started a long-term association with the now internationally recognized company "Mindjet" and their MindManager software. I used MindManager extensively in the training and consultancy, and this led to one of those "blinding flashes of the obvious". I suddenly realized that the exceptionally good living I was making was solely dependent on my ability to stand in front of corporate clients. I had tried creating links with other consultants, but soon came to realize that most consultants are terrified of someone stealing their intellectual property. This is something I have never been able to understand as, while you must protect intellectual property, I have always found it to be of considerable advantage to be open in sharing with other people. This is a principle I have applied through my business career and it has reaped handsome rewards. So, I was faced with the issue that I could not really "multiply myself" so what was I to do? I had to do something that either multiplied me as an individual or did not depend on me standing in front of clients. This was in the early 90s, and I decided to start selling "MindMan" as it was called then on this newfangled thing called “the Internet”. All my friends and business colleagues thought I was crazy. This business grew and grew and eventually 3 years ago we changed the name of the company from Teamlink Australia to Mindsystems, as we felt is this more represented what we were about. Method Neutral is described as "multiple modes of information expressed within a flexible workspace". We developed the Method Neutral concept in response to our frustration towards the "one size fits all" approach of many software companies. For example there are those that would have you believe that the mind map is the centre of the universe. I would suggest that the true centre of the universe is not mapping (or any other particular technique) but rather the information itself. Now please do not misunderstand me, I am a great fan of mind mapping, but in its place. 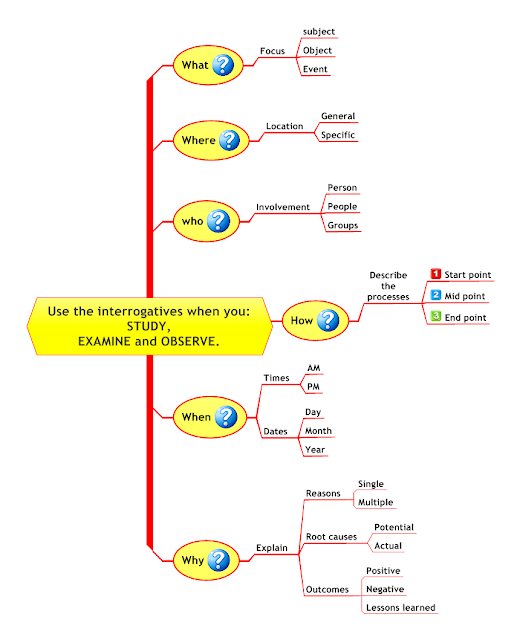 Let me give you an example of what I mean: without a doubt mind mapping is superb when it comes to the initial scoping of an idea or project or for generating a creative approach to a situation. However the situation changes dramatically as the map grows and becomes larger. 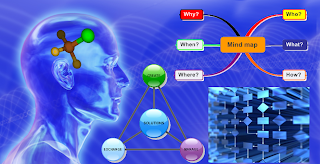 It is quite easy to reach a point where the information is hidden behind the technique of mind mapping. Quite simply large maps are very difficult to manage even when filtering techniques are applied to the map. This led us to the Method Neutral approach to software development. To restate what I said earlier, we believe that information handling software should be designed with the clear intention of making information the centre of the universe, not the presentation technique: hence the concept of Method Neutral. ... You recently developed a new information management product called Amode; tell us about it and what it can do for us? 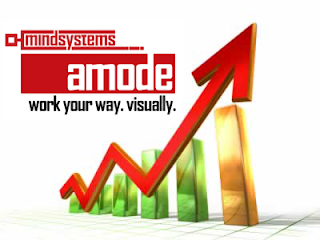 Mindsystems Amode was developed from our existing product KnowledgeLink Pro V5. This product itself was developed because of the significant difficulties people experience with converting large mind maps into more practical applications such as reports and the difficulty of merging multiple maps having similar concepts. However, Amode is light years ahead of the original product in that it has over 60 improvements and a completely new interface. Amode V1 was launched in May 2009 and received a very enthusiastic reception. We are now well into the development of Version 2. There are some subtleties in this model, one of which is a fundamental fact that “knowledge” is by its very nature “transitory”. This perhaps goes against conventional wisdom, but it seems to me that as the circumstances change (Data changes and new patterns emerge) what could be seen as knowledge today may not be so tomorrow. If you disagree, simply look back at the debates designed to support the theory that the sun revolves around the Earth! Copernicus was almost banished as a heretic for suggesting otherwise. I think perhaps I should say something about the name we chose for the product "Amode". The idea is simple: the information is presented in a neutral format and the user is offered a choice of "modes" in which to view and manipulate the information. At this point there is the option of the familiar tree mode, a calendar mode, the Gantt mode and the unique Briefcase mode. We have currently commenced the second phase of Amode development and I can assure you there will be some very interesting visual modes added to the repertory. One very important feature is that the user can switch between these modes with a single mouse click; in fact I would describe the general direction of Amode development as "turnkey". ... Method Neutral, IMO, as a new concept and definition shall undoubtedly impact the information management arena; how will it impact information handling? You're quite right in saying that this concept and its definition of information handling are set to have a big impact on people's perception of the way in which information should be handled and its importance in the systems approach. Firstly let's consider what we mean by "systems approach". We could get very complex, and academic, about such a definition but in reality it comes down to doing things in a systematic manner. This implies that there is definable process in everything we do, which is fine providing the process does not get in the way of the information. I have previously talked about the importance of mind mapping in projects scoping and creativity, but I've also talked about the actual process of mapping eventually acting as a shield or constraint to a user where the information is hidden. The Method Neutral approach is not restricted to software development, but the way in which organizations tackle information handling, meaning the existence of the information will be transparent while allowing instant (one click) choices of the best way to present that information dependent on the circumstances. On reflection it seems to me that there are only two major factors in both personal and business development namely “information” and “process” ... both of which Amode was born to handle! For example the day starts with a process in that most of us have an exact routine for getting ourselves ready for work. So it is for most aspects of business and once we have identified and documented a process we can logically examine it and possibly improve it. You do not have to be a “process expert” to do this with Amode. At the risk of being boring I would once again point out that definition of Method Neutral which is "multiple modes of information expressed within a flexible workspace". I have been amazed at people's reaction to this simple concept in that almost everyone seems to have one of those "Aha" moments when they suddenly "get" the critical concept that the information is the centre of the universe and not the presentation technique. I fully appreciate that we will meet considerable opposition from those entrenched in a particular visual presentation process, be that as it may, our experience and people's reaction to this concept leads me to believe that it will be the way of the future for information handling. ... List the environments where Mindsystems Amode is being used? That is a difficult question for two reasons, firstly Amode has been on the market to date for six months, and secondly because its use is only limited by imagination. The global answer to this is that everything we do in life is controlled by process as I mentioned previously. The interesting thing is that most people hardly vary from their normal daily routines and while this may sound inflexible it also means that it brings a measure of continuity and statistical certainty to many events. So does this mean when we apply the concept of "process" to industry and business that we create an inflexible environment? The answer is a definite" no"; providing you build flexibility into the process. In other words, process can imply inflexibility, but only when the process is imperfectly constructed. Of course there are certain processes in which you do not enable flexibility, examples such as dealing with compliance requirements regarding safety, quality, environment and taxation. So, what is the connection between process and Amode? The connection is that Amode is arguably the best tool ever produced for constructing process in a simple to understand and logical manner. These processes are seen in such things as the “Amode Solution” which consists of a number of related or discrete projects. One of the aims of the original design process was to allow a number of projects (or processes) to be worked on simultaneously while being manipulated in a single workspace. Amode achieves this very effectively. In the short time Amode has been commercially available; multiple licenses have been sold to groups varying from a tertiary institution in California to a major defense contractor in Australia. Naturally, as we are in the early adoption stage, most sales go to farsighted individuals who are prepared to take a chance, or are intrigued by a new approach to an everyday situation. Most of you will be familiar with Geoffrey Moore's famous book "Inside the Tornado". The simple fact is that our original product, KnowledgeLink, was used mainly by innovators, and there are clear indications that this relationship between KnowledgeLink and Amode has enabled us to move directly to the early adopters. Moore's model shows that Amode is approaching what he calls "the chasm" which lies between early adopters and the early majority. This is, of course, a very dangerous period for a software company and we need to tread with great care. ... What are the capabilities of your product? 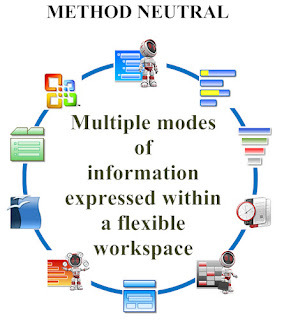 Mindsystems Amode allows you to work in a logical and structured way. 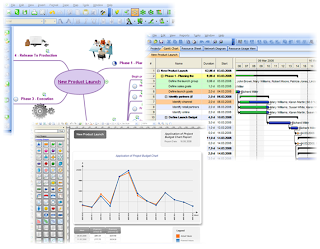 Mindsystems Amode combines visual planning, information handling, project management & multi-task management all in one tightly integrated application. Over 60 new features as compared to the original KnowledgeLink Pro! Above all Amode allows the user to focus on Information and Process in an uninterrupted, elegant and intuitive manner. 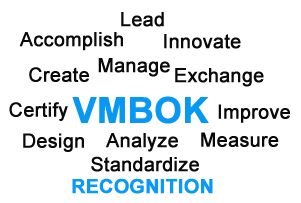 ... How do you differentiate Mindsystems Amode from the other leading visual mapping tools? An interesting question Wallace! The short answer is that Amode uses the Method Neutral, where as the others do not. It really is as simple as that. Let's be clear that I am not "knocking" other visual mapping tools: however I am saying that to my knowledge Amode is the only application which allows your information to be the constant focus without adding unwanted distractions. I repeat what I said previously and that is that the information itself must always be clearly visible and there must be the ability to switch to whichever presentation mode is appropriate with a single click of the mouse. As time goes on we will enable additional visual interfaces to Amode, but never at the expense of information clarity. ... How do you view the benefits of using Mindsystems Amode? The benefits of using Amode can be summed up with five words: process, organization, control, efficiency and time-saving. Process and time-saving, while being separate issues, are still intimately linked. This is well illustrated by an incredibly powerful feature in Amode and that is the "Template". I know the concept of a template does not sound very exciting but in Amode whole projects and solutions may be pre-prepared and stored for instant use. When you couple this feature with an extensive ability for Version Control, you will understand that every project you start is in fact a flying start. Organization and control are similarly separate but related. The combination of the presentation modes, a calendar, and extensive project management features means that time and resources (not forgetting cost) can easily and accurately be controlled. However the major benefit of using Amode is a little more subtle in that it imposes a system based discipline on the user which aids clarity of thought and creativity. The whole interface has been designed to recognize that much of our daily and business life leans towards a left brained activity while recognizing that; engaging the right brain also brings maximum effectiveness and productivity. Another major benefit is that, getting into the habit of defining process has the inherent benefits of gradual quality improvement in that shortfalls and inconsistencies in process frequently become very obvious. ... What do you see in the field of visual mapping as trends going forward? Another very good question Wallace and one which I know is dear to your heart. I believe we have come to a fork in the visual mapping highway. One group will vehemently defend the pure visual approach (of which mind mapping is a perfect example) while others accept the inevitable conclusion that must be drawn when considering and using the Method Neutral approach. I make no apology for repeating that I am a great supporter of visual techniques, particularly mind mapping. However I believe the visual techniques themselves have a critical place, but only in specific circumstances. That does not mean that one visual technique is the correct one in all situations. This is the real strength of Method Neutral, in that it recognizes, unadulterated clarity of information is paramount at all times, so that the appropriate visual presentation technique should be used, but only, repeated "when appropriate". 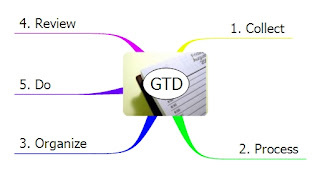 Anyone who has tried to create extensive information databases using techniques such as mind mapping knows the inherent difficulties. To continue down that path where information and knowledge databasing is unimportant seems to me to be irrational. I am sure you have heard the definition of insanity: "doing what did not work in the past and expecting a different outcome"
So in summary: we certainly need a range of visual techniques to display our information, however to display the information, not to manage it. We need a neutral approach to information handling. So there will be two paths: those who "get it" and those who don't! ... What are your customers saying about Mindsystems Amode? ... What can we expect from further development of Mindsystems Amode? As you can appreciate this is definitely "a commercial in confidence" area and I am not prepared to go into detail. Shall we just say that a number of extremely interesting visual interfaces will be added to Amode without compromising the Method Neutral approach. ... Where should a potential user of Mindsystems Amode purchase the software and what’s the cost? The Mindsystems website is http://www.mindsystems.com.au and a direct link to the Amode micro site is http://www.mindsystems.com.au/products/amode/index.php and the blog and community forums can be found at http://www.methodneutral.com. Educational and volume discounts are also available. Being an information management consultant has its perks, and one of them is creating very meaningful relationships with many software developers, and having access to their excellent products. They’re all great products for the most part, and some of these great applications just simply stick out in the crowded Visual mapping software arena. CS Odessa’s ConceptDraw line of products, IMO deserves closer attention. ConceptDraw is positioned in a tight group that may be termed the leading pack of Visual mapping applications. 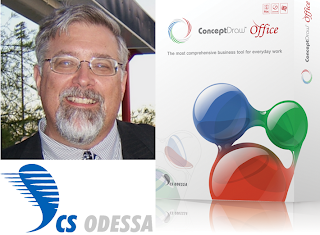 I spoke with Olin Reams recently and asked him to answer a few interview questions relating to his involvement with CS Odessa and the ConceptDraw line of products. Below for your reading pleasure is the Olin Reams interview. 1 Tell us about your involvement and work at CS Odessa? 1.1 I am General Manager in the Americas for CS Odessa; it is my responsibility to build on the success that CS Odessa has experienced in the Americas’ marketplace. In Software Magazine 2009 survey of software companies we are listed as one of the top 500 software companies for the first time (from a revenue point of view). So we are meeting with the objectives we set for ourselves. CS Odessa (America's) was formed in 1993 and our very first product was ConceptDraw PRO, our business graphics and diagramming software application for Mac and PC. ConceptDraw PRO is also our best known product but we have a range of products currently: ConceptDraw MINDMAP, that provides mind mapping and visualization of a process, work flow or process; ConceptDraw PROJECT, full-blown project management tool; ConceptDraw Office, a really neat new addition for us that integrates MINDMAP, PROJECT and PRO into one suite of products. Of course we also have plug-ins for ConceptDraw PRO that are very popular. The ConceptDraw WebWave plug-in is a great tool for web designers and web masters; our ConceptDraw NetDiagrammer plug-in for ConceptDraw PRO is purpose built for IT people who need to document and maintain their infrastructure. Our products are driven by our customers, which I always felt was a good place to be in. 2 Give us a brief history of the organization? 2.1 CS Odessa (Ukraine) was founded in 1963 by our CEO Gregory Zhukov. Gregory had a vision that there was a need for a company to provide high-value software solutions at a reasonable cost, and that the total cost of ownership was important to our prospective customers. It is core to our company to provide the same level of product functionality for both Macintosh and PC; we have done this from the very first day. Today there are about 70 of us worldwide, and last year we sold into over 120 countries. In 2009 we made Software Magazines list of 500 largest software companies. 3 List the environments where your products are being used? 3.1 We have customers around the globe and every possible vertical you can think of. Just the other day I was talking to an enthusiastic user of CD Office who owned a large dental practice in the southwest. They felt CD Office was going to be a competitive advantage to them in their business going forward. Of course our sales extend way beyond the dental market. We are found in over a 120 countries, in every type of vertical you can think of. Manufacturing, legal, medical, education, government…the list just goes on and on. I believe the reason for this is that our customers see the value exhibited in our products. 4 What are the capabilities of ConceptDraw office? 4.1 Wow. There is a lot of capability in ConceptDraw office. You can do a range of things from brainstorming to building an organization chart. You can gather requirements to automatically build a Work Break Down structure. You can write a document or you can put together technical documentation. Think of all of the possibilities if you had a mind map front end, a project management engine and a professional rendering tool integrated into an interactive suite. Our customers are always coming up with new uses for our ConceptDraw Office. They can be very inventive when it comes to how they use it. 5 ConceptDraw office is available on Macintosh and PC, tell us more? 5.1 All of our products run in native mode under both Macintosh OS X and MS Windows, this has been our product offering since day one. The file structure of the products is exactly the same on both Mac and PC, so we make it easy for both platforms to have ground when working together. We work very hard to maintain the same functionality on both platforms but we still address unique usability items in both worlds. Also we license per user so if it was ever to happen that a single user had a Macintosh and a PC; our license agreement would permit them to install on both. 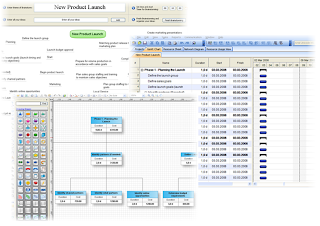 6 How do you differentiate ConceptDraw products from the other leading visual mapping tools? 6.1 We are very work flow centric. For our customers who want to use our tools in a production environment, this is an ideal trait of our software. Our tag line really reflects what you can accomplish; plan, do and communicate. We are an excellent visual mapping tool with ConceptDraw MINDMAP (ConceptDraw MINDMAP was selected as “Our Pick” by Mac World, March 2009); but then we have other outstanding tools that closely integrate with ConceptDraw MINDMAP and add lots of customer value. All of our products reinforce one another and add value on top of one another. 7 How do you view the benefits of using ConceptDraw products? 7.1 The real value of our products comes from what our customers see as core benefits. The majority of our customers feel that we have a unique solution that adapts to their work flow requirements and makes them more productive then they had been previously. To phrase it more simply we help people accomplish what they need to do, to move their businesses ahead. Business is about accomplishment, ConceptDraw is all about business. 8 You’ve recently released a USB edition of ConceptDraw office: Do you believe the portable approach will be of value? 8.1 We do have this available for Microsoft Windows. It is not a major focus, as this is very specialized technology that has a high value to a small audience. If someone wants it we have it. 9 What are your customers saying about ConceptDraw Office? 9.1 They are very happy ecstatic, I feel the reason for this is that it came from their vision of what could be accomplished with the right tools. 10 What can we expect regarding newer release to market products? 10.1 CS Odessa will continue to innovate, provide demonstrable value and of course listen to our customers. We really do not want to say much about future products, as we feel that our vision is a key market advantage for us. We do have a clear vision that extends for 5 years; we are not just focused on the next release from a planning point of view. We are interested in extending CS Odessa’s ConceptDraw value proposition to a broader and broader market set. 11 Where should a potential user of ConceptDraw Office purchase the software and what’s the cost? The list price for ConceptDraw Office is 499 USD; ConceptDraw MINDMAP is 199 USD; ConceptDraw PRO is 249 USD and ConceptDraw PROJECT is 199 USD. ConceptDraw Office contains our mind mapping, project management, and business graphics products and represents a 148 USD savings over the individual products, plus one benefits in the end-to-end integration of our products. Systems thinking, what is it? Well, a quick web search and you'll be offered all kinds of links to systems and information management sites. Our definition of systems thinking at the core level: “Systems thinking is a consideration of data, information and knowledge as independent yet interdependent processes”. Systems thinking is, in our experience, realized when one starts to use the tools, methods and mindset of Visual mapping to map out processes, and at the same time see the bigger systems picture. 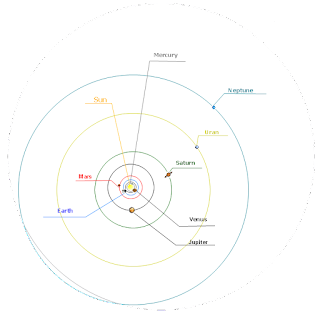 Think of systems thinking as you would view our planetary system our system is made up of a sun, planets and moons. The sun is the focus, the planets being independent bodies, and the moons being the support to the planets. Now look again at system as a mind map; do you see independence yet interdependence of the elements of this system? Independent because this system, is independent of other systems that may be in existence, and interdependent because this system indeed needs and relies on each and every part of this existing system to express harmony and uniformity. How can we correlate Systems thinking with Visual Mapping? The Systems Thinking approach shows how, within a system, the different elements of this system influence each another and makes a Whole that is not just the sum of the different elements. Creating a visual map is like constructing a model that shows those interactions between the different elements. By organizing various separated elements, the map brings coherence and facilitates the emergence of a new order. When one starts to use the tools and techniques of visual mapping, it's clear that a change takes place in users thinking processes. 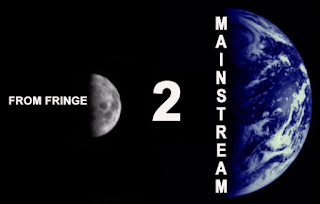 The change is noted in a shift from linear information and knowledge understanding, to a more non-linear format. Linear formats shall, for the most part, be the norm for the foreseeable future: linear approaches to information management are indeed ingrained into our societal behaviors. The use of Visual mapping though, infuses and enforces one to view, the information creation, management and exchange flow as, process oriented at the base level and systematic at the higher level. This is indeed essential to understanding information and knowledge development. Where is systems thinking and Visual mapping best used? Of course there are many other uses you'll discover along the way. So, you may realize by now that Systems thinking and Visual mapping indeed have a close correlation. Associated and related functions of systems thinking: If you’re involved with business at any level especially in this century, the term Continuous improvement (CI) has become common to our business language. The PDSA process: PLAN, DO, STUDY, ACT. This is the continuous motivator to the Continuous improvement process. The effective and efficient use of CI within arenas such as business and education, Enforce us to begin to think of knowledge and information as being a system. Systems that must by nature further develop and continuously improve. 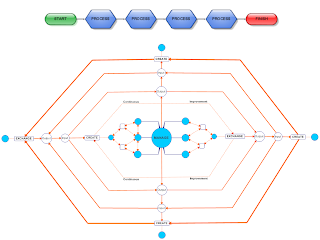 What's the future for this synergy of Systems thinking and Visual mapping? Well; we firmly believe you can see this result in and through the use of Visual mapping software. With the further development of Visual mapping applications, we are seeing, the needs of personal users, society, and business being met in relation to process and systems thinking. Database functions are being demanded of software developers, and I see the addition of this function being a standard inclusion. There is one more aspect of being a visual mapping systems thinker. When we have mastered the visual mapping tools, methods and mindset, we invariably develop a superior ability to integrate linear with non linear. We understand the importance of both poles of expressions, and use them to the appropriate degree. We become an “integrated thinker”. One who has the ability to see the independence of a system on all associated interdependent processes? Simply put: “the process is in the process”. Have you experienced a shift in your perceptions of process and system while becoming a visual mapper? Share your story here. Sitting in any vehicle; what’s the centre of visual control (Apart from keeping your eyes on the road PLEASE)? It’s the instrument panel, better known as the “dashboard”. Every vehicle has one, we require them and they give us an accurate measurement of performance and capability. Consider the vehicle analogy while using information mapping software. It makes perfect sense for the information manager to use a dashboard to measure key process variables (KPV”s) within business. Have you considered a dashboard approach as a “single point of access” to all of your KPV”s while using the tools, methods and mindset of visual mapping? Another pertinent question may be asked of the developers of visual mapping software. 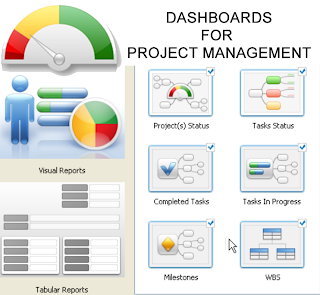 Why is a dashboard approach unavailable in most of the applications that utilize a mind mapping approaches to information management? A visual map can, when used effectively, be an ideal tool for graphically communicating ideas and gaining team buy in right at the genesis of a project; and as a dashboard, an excellent way to graphically track the progress of any project. While a visual map is extremely effective as a communication tool, it’s much more effective and powerful when used as, or synchronized with a dashboard. 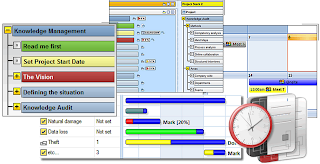 ConceptDraw Office is a product suite that, in our opinion, has a very unique and powerful dashboard function that enables tracking and reporting of critical KPV’s within a business management project. All of this is supported by the CS ODESSA InGyre technology; the tool that seamlessly synchronizes the information exchanges between the three products within CD Office. In any business there are many shift points where data is transformed to meet particular audience requirements. InGyre Technology Adds Value at any Stage of a Business Process. InGyre Technology supports delivery of information in an optimal visual manner for specific audiences. CD Office provides a turnkey approach to creating, managing and exchanging information and knowledge, while easily generating reports and utilizing the graphical power of the product. Using the “Generate Reports” function, the project manager can generate an impressive report of KPV’s within seconds. The process from mind mapping your project in CD MindMap and sending it to CD Project is processed with ease while using CD MindMap. Making it easy to communicate ideas and brainstorm project paths before moving into project management is what CD Office does well. You can determine which branches of your mind map are moved over to CD Project which gives you lots of control. Once you have synchronized the mapped information with CD Project you are in the full featured project management function and ready to go. CD Project has several different views which are useful in planning your project. Most users of project management software will spend most of their time in the Gantt Chart as they set up the dependencies, schedule, and track the tasks. You can also view the Resource Sheet, Network Diagram, as well as Resource Usage from within CD Project. The absolute power of ConceptDraw Office is the generation of the business system reports. Simply chose the “Generate Reports” function, and you can create highly visual reports to keep you and your team up to date with project status, capabilities and performance measures. 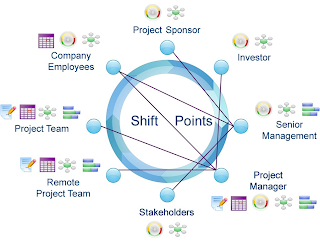 Communicating project information in a clear and succinct manner ready enables the elimination of ambiguity for stakeholders and shareholders alike. So we encourage you to take a closer look at ConceptDraw Office, use the dashboard approach and manage your projects, while keeping them on time and within budget.